EVENT TICKETS ($50 person in advance) CAN BE RESERVED BY CONTACTING rebecca.crowell@camdencatholic.org or call 856-663-2247 ext 140. Online tickets are no longer available as of 4/11. Tickets are available at the door for $60. 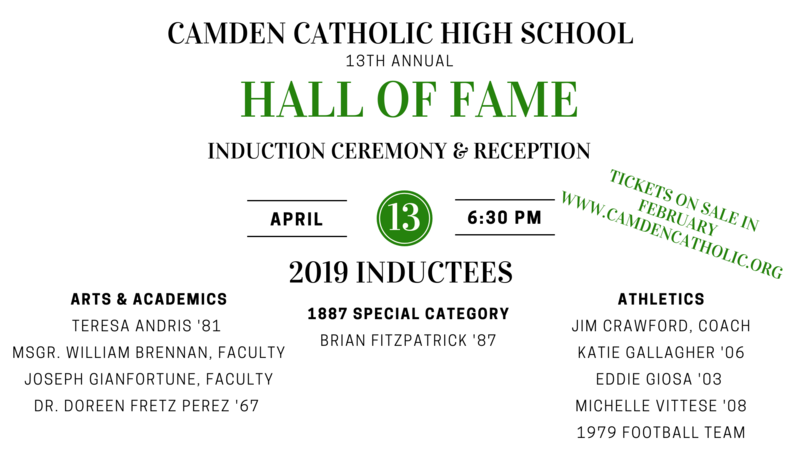 (Cherry Hill, NJ) January 30, 2019—On Saturday, April 13, 2019 Camden Catholic High School, Cherry Hill, will induct the 13th class of alumni into its Hall of Fame for academic, arts and athletic accomplishments. 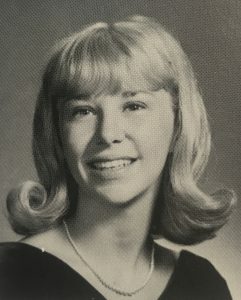 Four of these inductees will be installed in the Emerald Hall of Fame for Academics and Arts: accomplished dancer, choreographer and artistic director Teresa Andris ’81; former principal and beloved faculty member Monsignor William Brennan; longtime CCHS band director and legendary teacher Joe “Mr. G” Gianfortune and retired US Army Reserves Captain and current director of student health services at the University of North Florida Dr. Doreen Fretz Perez ’67. Brian Fitzpatrick ’87 will be inducted into the 1887 Special Recognition category for his longtime support of The Arts at CCHS in addition to many other philanthropic causes. Honored by induction into the Green & White Hall of Fame for Athletics will be the only CCHS team to ever win an on-field sectional title, the 1979 Irish Football Team; revered basketball coach Jim Crawford, one of the winningest coaches in South Jersey history; two-time Olympian for Team USA Field Hockey and collegiate All-American at the University of Virginia Michelle Vittese ’08; state championship, four-time regional championship, four-time district championship wrestler Eddie Giosa ’03; and All-South Jersey three sport standout, All-American and NCAA lacrosse National Champion (University of Maryland) Katie Gallagher ’06. 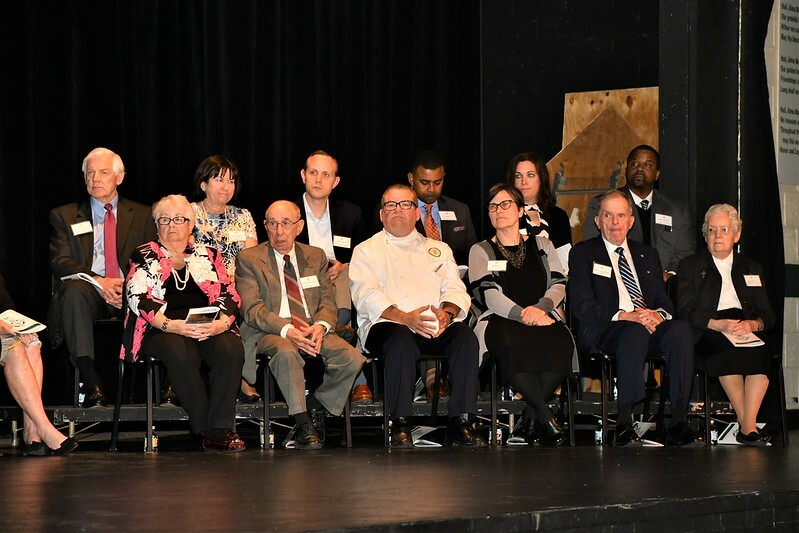 Funds raised at the Hall of Fame event benefit scholarships for current CCHS students who are selected by the Hall of Fame committee based on a submitted essay, leadership qualities, determination, and Camden Catholic spirit. The Hall of Fame induction ceremony will take place on Saturday, April 13, 2019 at 6:30 p.m. in the Grandi Auditorium at Camden Catholic (300 Cuthbert Road, Cherry Hill, NJ 08002). A cocktail reception will follow the ceremony. Tickets are $50/person advance and $60/person at the door. Purchase online (beginning in February) at www.camdencatholic.org/halloffame, call 856-663-2247 ext. 140 or email Rebecca.Crowell@camdencatholic.org. Donations to the Hall of Fame Scholarship Fund may also be made in the honorees names, and a program book offers the opportunity to congratulate the inductees. 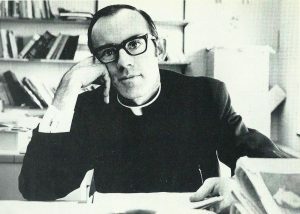 Monsignor William Brennan: well-respected leader of CCHS as Principal from 1976 to 1984, visionary, disciplinarian and mentor to many faculty members and students; CCHS faculty member 1969 to 1973. Ordained in 1963 and granted the title of Prelate of Honor (Reverend Monsignor) in 2000. From 1984-2012 served as Pastor of Incarnation Parish, Saint Pius X Parish and Christ the King Parish respectively. Joseph “Mr. 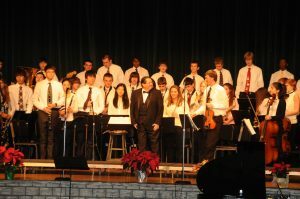 G” Gianfortune: accomplished musician and band director at Camden Catholic since 1980; leader of multiple CCHS ensembles including the concert band, jazz band, fusion band and pep band; performed with the Moody Blues, Julie Andrews, Bob Hope, Houston Opera Company, and many more; liturgical music director for over 10 years at St. Stephen Parish. Dr. Doreen Fretz Perez ’67: Director of Student Health Services Administration at the University of North Florida since 1987 and adjunct faculty member since 1994; U.S. Army Reserves Captain (ret.) training and assessing the health of soldiers for deployment; received multiple awards and recognitions for her work as a nurse and educator, including “Great 100 Nurses of Florida,” The Army Achievement Medal and American College Health Fellow. Brian Fitzpatrick ’87: Chief Executive Officer, LoanLogics, Inc. 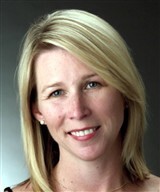 Highly successful and respected industry leader in the mortgage and financial services industries. Consistently leads philanthropic efforts throughout South Jersey for a variety of causes, including his Alma Mater, where he has served as the business manager for the annual spring musical and the Co-President of the Performing Arts Parents Association. 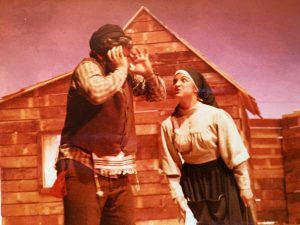 An active and engaged student during his time at CCHS, Fitzpatrick was first chair trumpet in the various CCHS bands and was lauded for his performance as Tevye in the 1987 production of Fiddler on the Roof. 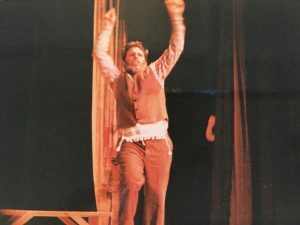 Fitzpatrick was the first ever alumni to come back to the CCHS stage a year after his graduation to play the lead role of Tony in the 1988 production of West Side Story when the student lead suddenly took ill within one week of the show opening and was unable to perform in the opening weekend of the show. Jim Crawford: boys basketball coach 1977-2013, retired with a record of 713-238, 10 conference championships, seven sectional titles, three state titles (2001, 2003 and 2010) and 23 straight 20-win seasons; also a Big Five Hall of Famer and known as “Skyman” during his playing years at LaSalle University. 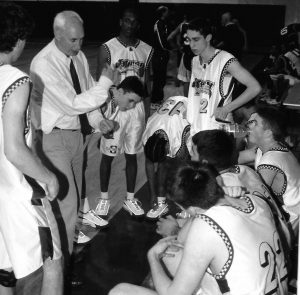 Jim mentored and inspired hundreds of Camden Catholic student-athletes, maintaining close relationships with his players well beyond graduation. Katie Gallagher ’06: Collegiate All-American (lacrosse) and All-South Jersey athlete in both lacrosse and soccer in addition to earning 12 varsity letters as a starter all four years in soccer, basketball and lacrosse; a member of the 2006 Irish Girls Basketball State Championship Team; earned a full scholarship to Division I lacrosse powerhouse University of Maryland, playing in the Final Four four times, NCAA championship game twice, winning the NCAA National Championship in 2010. 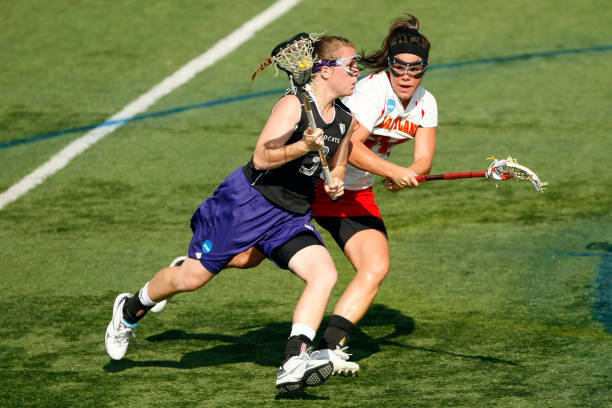 Katie was named All-American and All-ACC in 2011 as well as being named “Comeback Player of the Year” by Inside Lacrosse in 2010 after battling back from Crohn’s Disease. 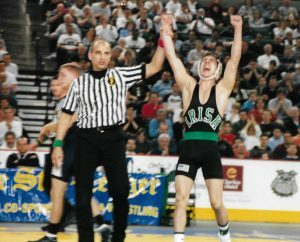 Eddie Giosa ’03: All South Jersey State Championship wrestler, four-time All-Conference, District Champion, Region Champion and State Placewinner (three-time state finalist, winning the championship at 125 lbs in 2003). CCHS career record 144 wins and 8 loses (100 pins). Wrestled at Drexel University, named 2005 Colonial Athletic Association Rookie of the Year. Michelle Vittese ’08: All-South Jersey and internationally recognized field hockey player and Olympian for Team USA Field Hockey. Two-time Junior Olympian (2004 and 2005) and two time Olympian (London 2012 and Rio 2016). Recruited to the University of Virginia where she earned multiple All-American, All-ACC, All-South Region and Player of the Week honors. Named to the NCAA All-Tournament Team in 2009. 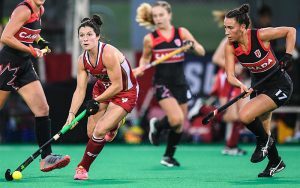 Multiple medals and World Championship experience with over 200 caps (game appearances) for Team USA in the World League, Pan American Games, Champions Challenge, among many other international contests. 1979 Irish Football Team: the only CCHS football team to win an on-field championship, after battling back from a winless season in 1978. Led by the legendary head coach Jim Delaney, the 1979 team outscored its opponents 186 to 72, including six shutouts against their opponents. The team brought home the Parochial A Title after defeating Holy Cross 20-7. The Camden Catholic High School Hall of Fame was founded to promote pride in Camden Catholic High School and to honor alumni, faculty, staff, and friends who have made outstanding accomplishments in their communities and their lives since they have been associated with the school. The Hall of Fame will help preserve and strengthen the school motto since 1887, “Faith, Honor, and Loyalty”. In addition, these recognitions are for the purpose of honoring and perpetuating the individuals who have excelled and provide our students with examples of what to dream and aspire to be. Click here to download the PDF form to complete and submit via email or mail. Click here to download the Word form to complete and submit via email or mail. 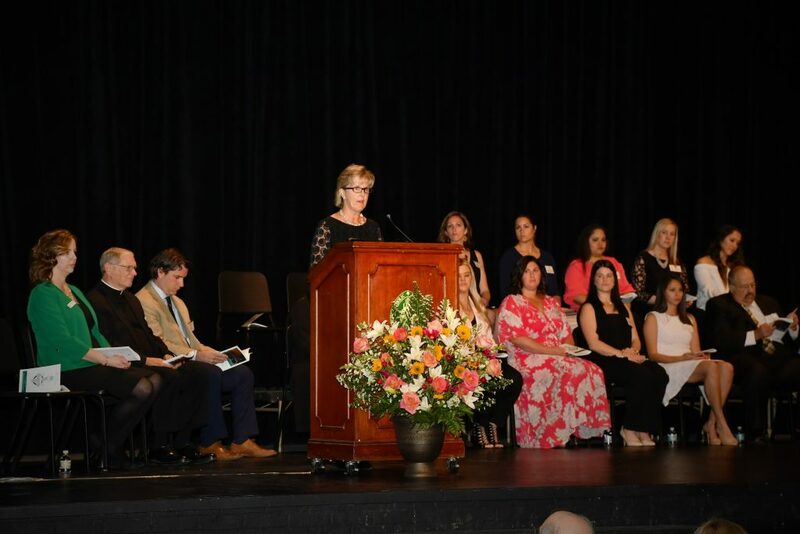 Alumni, teachers or friends of Camden Catholic High School who have distinguished themselves in the field of the arts or by outstanding achievements through scholarship, service and leadership so as to reflect honor and distinction. Coaches or alumni of Camden Catholic High School who have established distinctive records of achievement in athletics, making them deserving of recognition. Alumni or friends of Camden Catholic High School whose actions and achievements may not be expressly categorized in Arts & Academics or Athletics, but are deserving of such recognition. These awards may be for humanitarian actions, community involvement, or other special contributions. Click here for the 2018 Hall of Fame Press Release to learn more about this year’s inductees. Major General James McIntosh ‘56, USAF Ret.